Once the home of the Scranton Colored School, this historic building now functions as a Florence County barbecue joint. 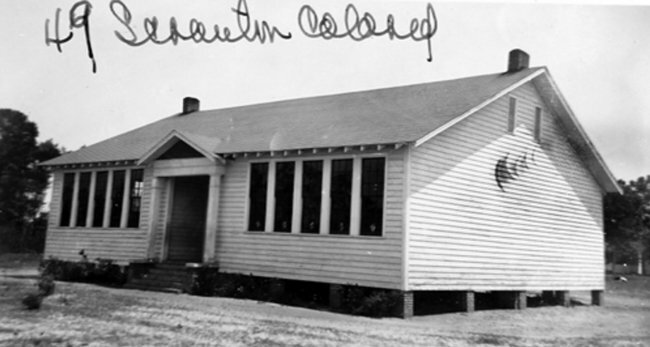 Built by the Works Progress Administration in the 1930s, it served students in the local black community for 30 years. After the school closed, the building became a warehouse for Myers Furniture Company. 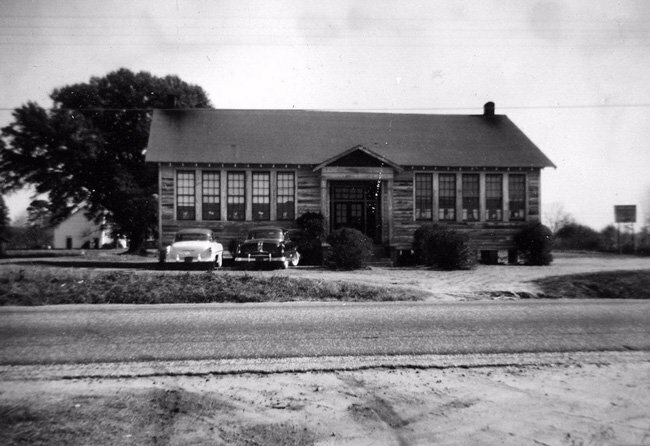 In 1982 Howell Myers, whose father had owned the furniture warehouse, began renovations on the former school building. In May of 1994 Myers opened Schoolhouse BBQ. He sold it to Stacy Mims in 2009. The restaurant, now painted a cheery schoolhouse-red, is adorned with blackboards in honor of the building’s history. Local artifacts add an air of nostalgia to the four-room schoolhouse, wafting of roasted pork and vinegar sauce and adorned with Jim Harrison prints. Schoolhouse BBQ was honored with the Lake City Chamber of Commerce Restaurant of the Year Award for 2014 (Lake City sits just over three miles down the road from Scranton). In August of 2016, the eatery made news when it was visited by basketball star Shaquille O’Neal, who was in Lake City for the funeral of a relative. It is also a favorite stop for country singer Josh Turner of nearby Hannah. The restaurant stays busy during its operational hours Thursdays through Sundays, roasting two dozen hams and shoulders each business day. Side dishes such as collards and sweet potato pie are also big draws to Schoolhouse BBQ, and for those who prefer the Midlands-style mustard sauce – there’s plenty of that, too.